It would be presumptuous to hazard a guess on the long-term outcome of this week’s summit between North and South Korea in Pyongyang. That the meeting was held ~ for the first time since the armistice of 1953 ~ is in itself a watershed development. Beyond the grandstanding, Kim Jong-un is reported to have signalled his intent to his counterpart, Moon Jae-in, that he intends to denuclearise the peninsula. The ground reality doesn’t inspire optimism, however. Given his record, the North Korean President’s pledge is at best a saccharine assurance, an attempt to play to the gallery of Trump and Moon. who had brokered the Singapore summit. And not the least in the context of the International Atomic Energy Agency’s assertion that the North is continuing to develop its weapons programme. The IAEA’s caveat had followed the Trump-Kim summit in Singapore last June. Yet on Wednesday the US announced that it was ready to immediately restart bilateral talks. Discussions on a second Trump-Kim meeting are under way. But differences were evident in the US decision to halt meetings in July, after Kim snubbed the Secretary of State, Mike Pompeo, on the ground that President Trump was reneging on a promise of a peace declaration. Suffice it to register that Kim is suitably astute to realise what makes Trump feel good. But the offer to denuclearise is a different kettle of fish altogether. Warm words need to be matched with deeds. 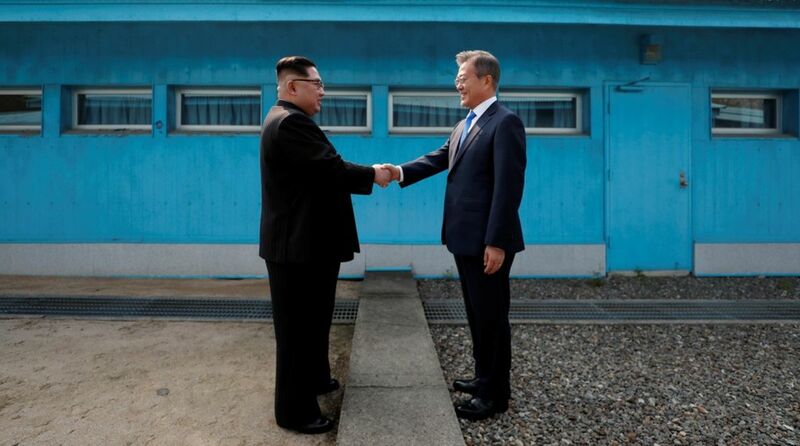 Both a peace declaration and denuclearisation remain the imponderables of geopolitics. The disparities were equally glaring in the Trump administration’s enthusiasm about Kim’s summit with South Korea’s Moon Jae-in this week. In the perception of the US, the North has committed to completing denuclearisation by January 2021; but Pyongyang talks of denuclearisation of the peninsula, not unilateral action. Its promise to dismantle a missile engine test and launch site was first made in Singapore. And while the US says the North pledged to dismantle its nuclear facility at Yongbyon in the presence of inspectors, the North merely said it would take measures “such as” this if there were corresponding moves by the US, and what it calls “fudged oversight”. Underlying these differences is a fundamental contradiction ~ arguably the US will agree to a peace deal if Kim associates peace with relinquishing nuclear weapons. In tangible terms, the chief value of the Pyongyang summit was the intra-Korean agreement on de-escalation measures, including buffer zones on air, land and sea. Ergo, the forward movement was between the Koreas, and not in the North-US equation. Post the volley and bluster after every missile test, the de-escalation is welcome. In the long-term perspective, a freeze on the North’s nuclear programme, or even its reduction, is not wholly impossible.